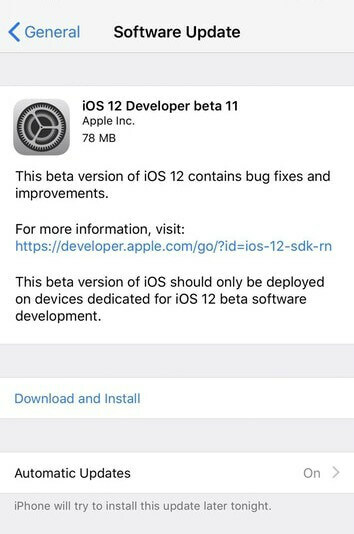 Just four days after seeding iOS 12 Beta 10, Apple has seeded the eleventh beta build of its latest firmware version. Here’s how you can download iOS 12 Beta 11 on your iPhone, iPad, or iPod touch. What’s new in iOS 12 Beta 11? iOS 12 Developer Beta 11 is just another minor update that focuses on performance improvements and bug fixes. Nevertheless, it introduces some changes that were missing from older versions; for example, the closing-app animation is now faster than ever. The build number of this version is 16A5365b and it weighs around 60-80 MB on all compatible devices. Owing to its size, it clearly is not the GM build that we are all waiting for. Alongside iOS, Apple has also seeded tvOS 12 Beta 9 and macOS Mojave Beta 9 to developers. If you are a registered Apple developer, you can download this update straight from the Developer Center. For those of you who aren’t a part of the beta tester program, just grab the OTA Profile given below and get downloading. 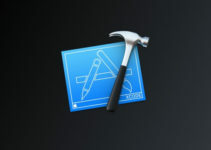 As the Developer Beta 11 brings nothing new to the table, there’s no point in updating. However, if you are affected by the “OpenVPN disconnect” bug, you must update as soon as possible. Apple is still holding back the Golden Master update for some reason. Once that update goes public, you can freely upgrade your Apple device. As always, don’t forget to follow us on Twitter and Facebook for more firmware news and updates. Saurik made an update to his APT Repo on January 4! I think that update at this time is wrong for those who have IOS 11.4 not beta …. 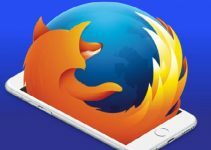 there is good news on the JB of IOS 11.4? No, there’s no news about a jailbreak for iOS 11.4 right now.